Turning your summer residence in the Hamptons into a vacation rental can be a great way to earn additional income. Here are a couple of tips that can help you get more bookings and, as a result, enjoy a lucrative venture. Provide high-quality photos of your vacation rental. One of the best ways to market your vacation rental to prospective tenants is to add enough photos on the listing. Travelers are more likely to book a vacation rental if there is a good number of photos showcasing the rest of the property. You can take these photos on your own (especially if you have the penchant for photography) or hire a professional photographer. Make sure to take photos of the property’s exterior and interior features, especially amenities you’ve included on the property description. These photos are key to making a good impression to travelers, so strive to get the best results as much as possible. Now that you’ve uploaded great photos of your vacation rental, it’s time to work on your customer service skills. Travelers like responsive landlords. Keep your communication lines open for any questions, and make sure to answer these as warm and friendly as possible. Being responsive implies to potential visitors that you are a reliable and trustworthy individual. Guests are more likely to book your vacation rental (and make repeat bookings) if they know the owner is also approachable and easy to work with. Remember, customer service is part of the experience. Make it a habit to request reviews from your guests. In addition to learning about your rental’s strengths and weaknesses, reviews (especially positive ones) will entice a guest to book your vacation home. In your listing, it’s important to convey that your previous guests have enjoyed their experience staying in your rental. One more thing– don’t be scared of a few negative reviews. What’s important is you respond to these complaints and issues in a timely manner. Be professional when you’re responding to such feedback. Regularly update your calendar and rates. Another way to make your listing more attractive is by regularly updating your vacation rental’s calendar and rates. After all, there’s nothing more annoying than finding a vacation home you like only to find out it’s unavailable or that the rates are outdated. Speaking of rates, be transparent about additional charges (if there are any) as well. Are you charging for extra guests? Do you provide free toiletries, or will you add use of your toiletries to their total bill? Such unwanted additional charges can discourage guests from booking your rental again. In addition, hidden fees can also result to more negative reviews. Tell a story with your property description. When it comes to marketing your vacation rental, we highly encourage you to flex your creative muscles. Don’t stick with generic property descriptions. Help interested tenants envision what it’s like to stay at your vacation rental. Use helpful adjectives such as “warm,” and “inviting,” to make your listing sound more attractive. You can also provide additional information, such as nearby attractions and things they can do in the area. Don’t forget your rates and your contact numbers for a property description that is complete, informative, and creative. Increase your vacation rental’s bookings with us! Learn more marketing tips and strategies by browsing our website. 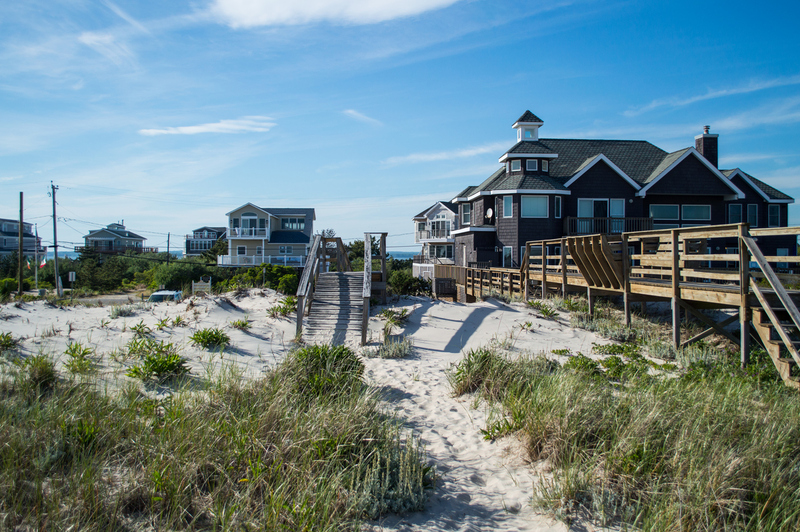 You can also get in touch with us today for more insights about vacation rentals in the Hamptons.